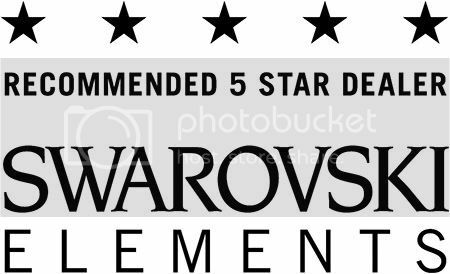 New Create Your Style with SWAROVSKI ELEMENTS Bracelet Instruction Guide! This beautiful instruction guide piece is perfect for the intermediate jewelry designer! Using SWAROVSKI ELEMENTS 4000 series Fancy Stones and 5000 series Round Beads. Order The New SWAROVSKI ELEMENTS Autumn/Winter Innovations First! This new CYS instruction guide utilizes some very unique shapes and colors. Even though it is a piece of jewelry, this bracelet is actually creatively made with SWAROVSKI ELEMENTS Sew-on Stones and Fancy Stones. And a 5000 Round Bead – 4 mm in Fuchsia as a little touch at the very end! Interested in any of the products mentioned above? Contact one of our Sales Associates for Details at 800-333-4144! Whether you are looking for a vintage flatback, fancy stone, bead, or pendant, we’ve got it covered! Check out our vintage selection frequently, as we are constantly adding new inventory. Take advantage, because these offerings are only available while supplies last! Once they are sold, they are gone forever! 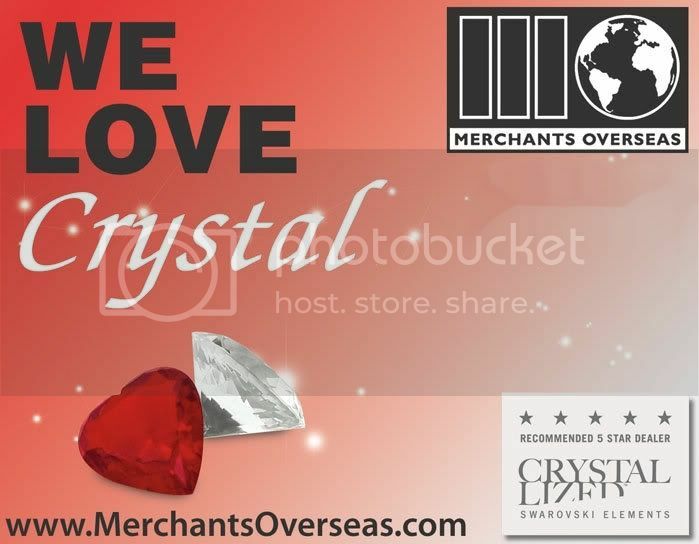 Merchants Overseas’ Items of the Week- Swarovski 4470 and 4610 Fancy Stones! 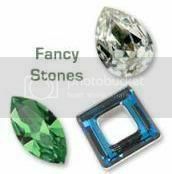 This week’s items of the week are very high fashion and glamorous SWAROVSKI ELEMENTS Fancy Stones. The 4470 Swarovski rounded square fancy stone is a very luxurious looking stone with faceting along the rounded edges and throughout the pointed back. This stone’s unique flat front and cushion shape make it the perfect fancy stone for high fashion cocktail rings and other trendy jewelry pieces. The 4610 Swarovski Octagon Fancy Stone is a beautiful rectangular stone. Also known as an Emerald Cut, this multi-faceted stone is the perfect shape for jewelry designs requiring the look of high fashion jewels. Use Coupon Code FANCY at checkout! 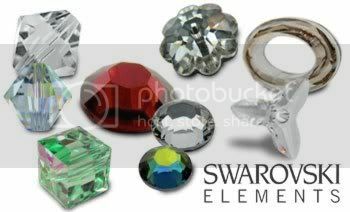 Merchants Overseas’ Item of The Week – Vintage Swarovski Oval Fancy Stones! This week’s “Item of the Week” is the Swarovski 4140 18x13mm Vintage Oval Fancy Stones in Timeless Smoked Topaz. Take advantage of the opportunity to purchase our very limited stock because it may never happen again! Contact A Sales Associate Today at 800-333-4144 To Place Your Orders!